Aaron Overhead Doors is and has been a family owned business. The Conte’s acquired Aaron Overhead Door in 2001. Frank the father of Larry Conte retired in 2012 passing down the business to Larry who is the current owner. Larry has always been involved in Aaron Overhead Door and there was never a better person to take over. The business has grown leaps and bounds since Larry took over. Much of the success is due to repeat and referral business. We consider that a lot of hard work put in by his father over the years. 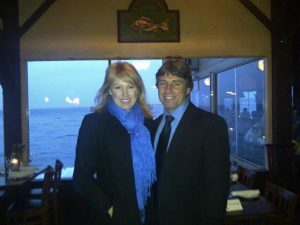 Larry and Kim live in Monterey and both work very hard to provide top quality products and first class service. 01 The first pillar of our success is “integrity”. Without integrity you have no trust. Without trust you have no business. We do everything with integrity. 02 The second pillar of our success is, “do everything with excellence”. This means paying attention to the details and doing it right. 03 The third pillar of our success is “be grateful”. No matter how successful we are we are grateful for every customer. 04 The 4th pillar of our success is “give back”. We believe in giving back. A portion of all proceeds goes to a non profit that we are very close to.